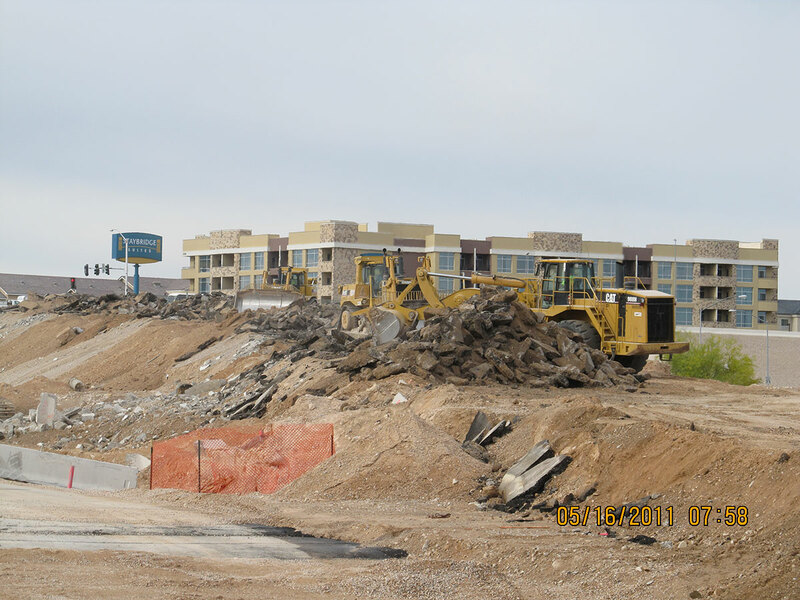 Formed in the early 1960’s, the Excavation and Grading Division was formed as a compliment to the Paving Division. 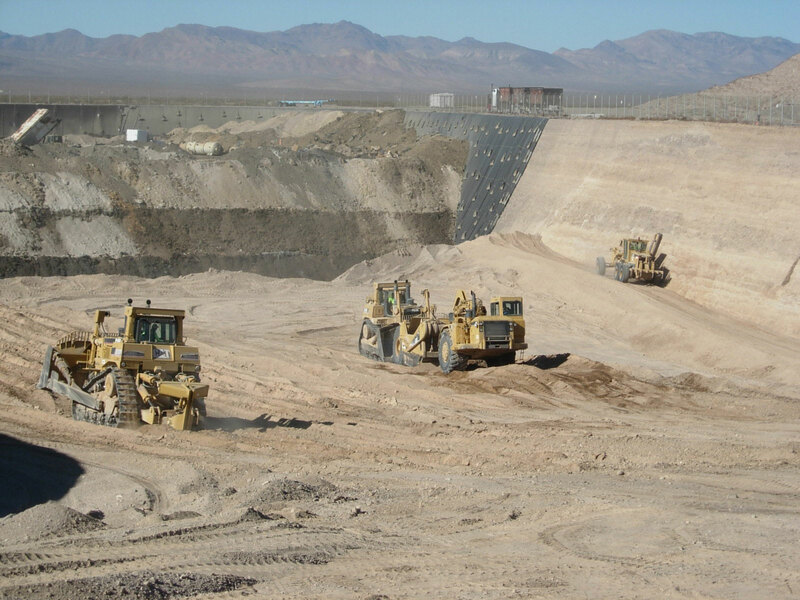 The first major project came in 1983 when the Carlin Gold Mining Company contracted with Las Vegas Paving to divert James Creek and construct the Carlin Dam. 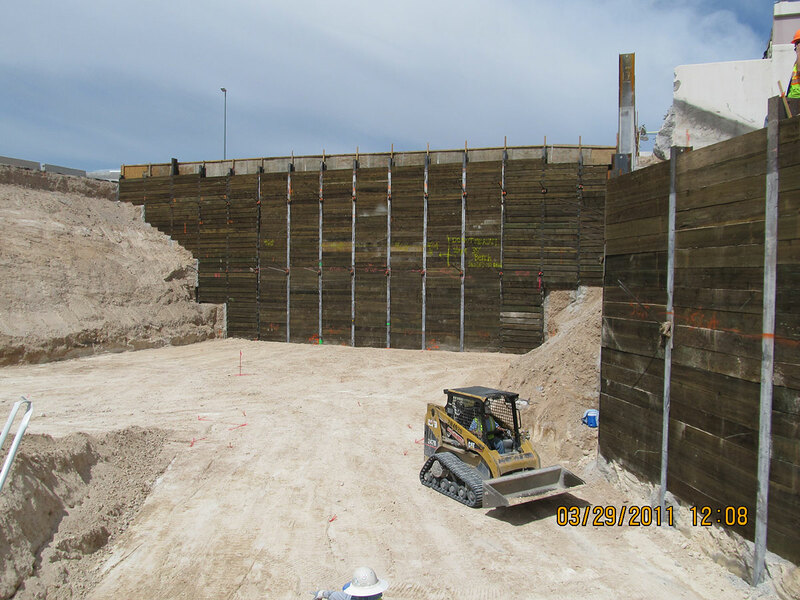 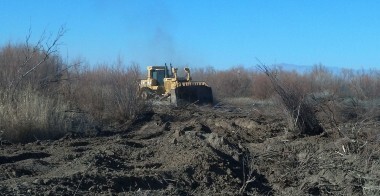 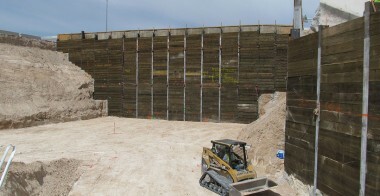 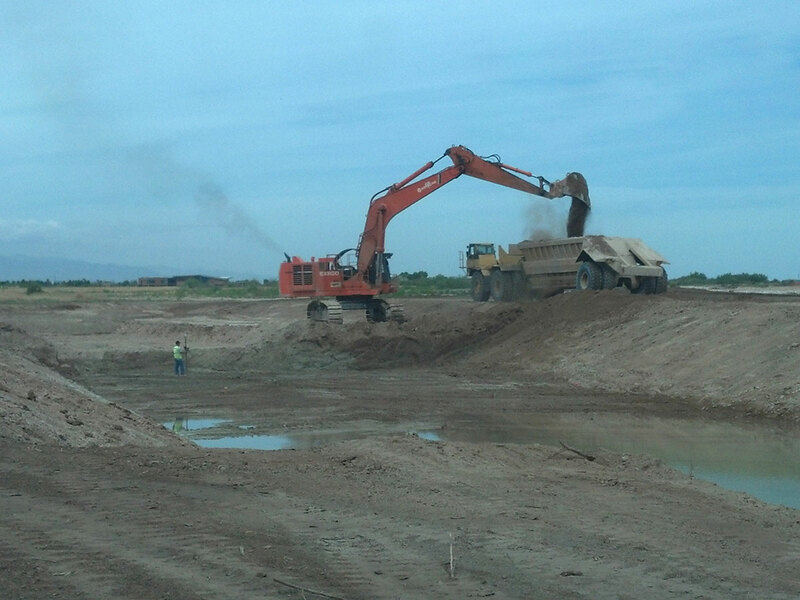 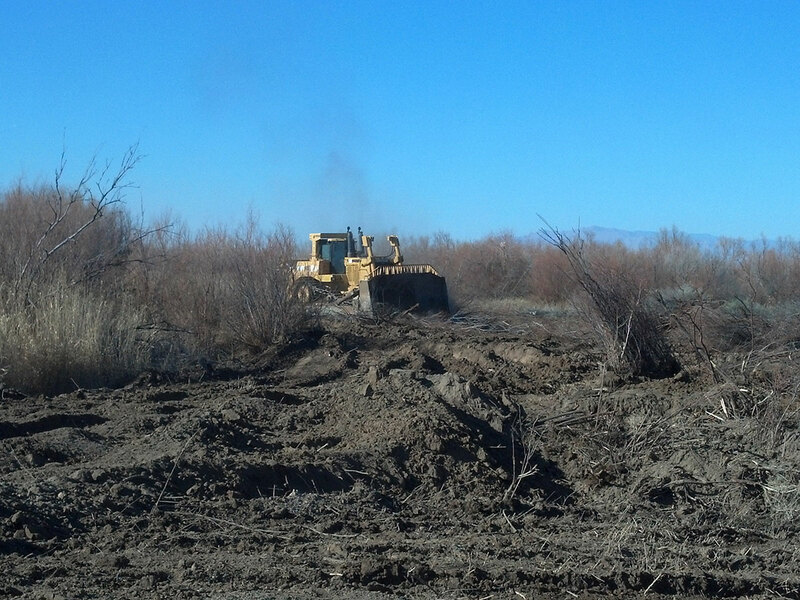 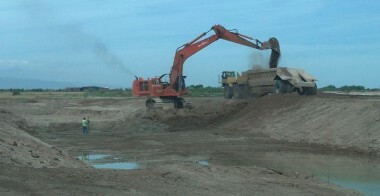 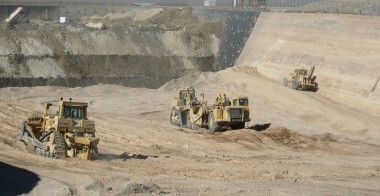 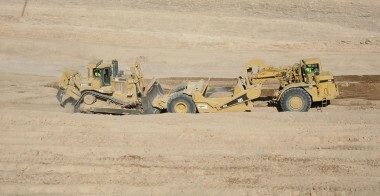 Final construction of the dam resulted in the placement and compaction of three million cubic yards of material. 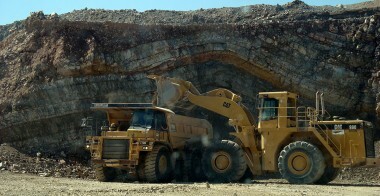 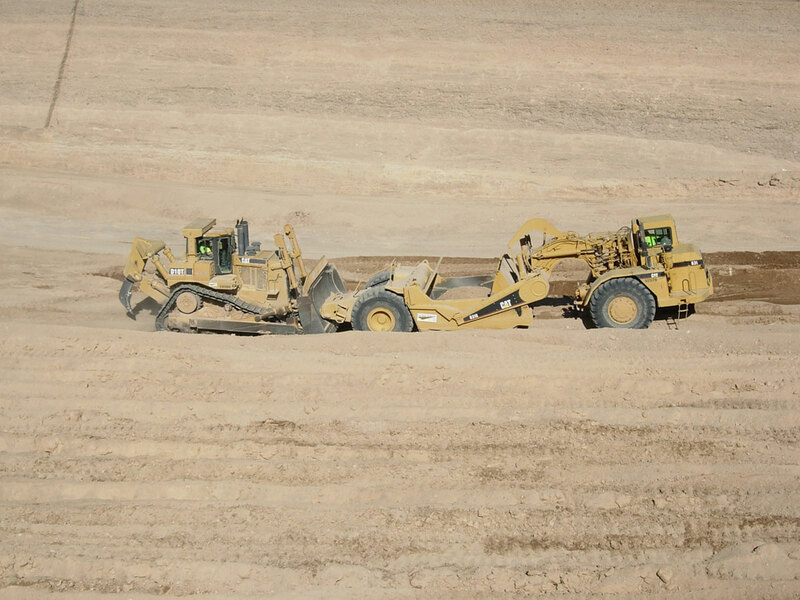 Over the years we have witnessed the excavation and grading division grow and develop to lead the company in construction revenues and profitability. 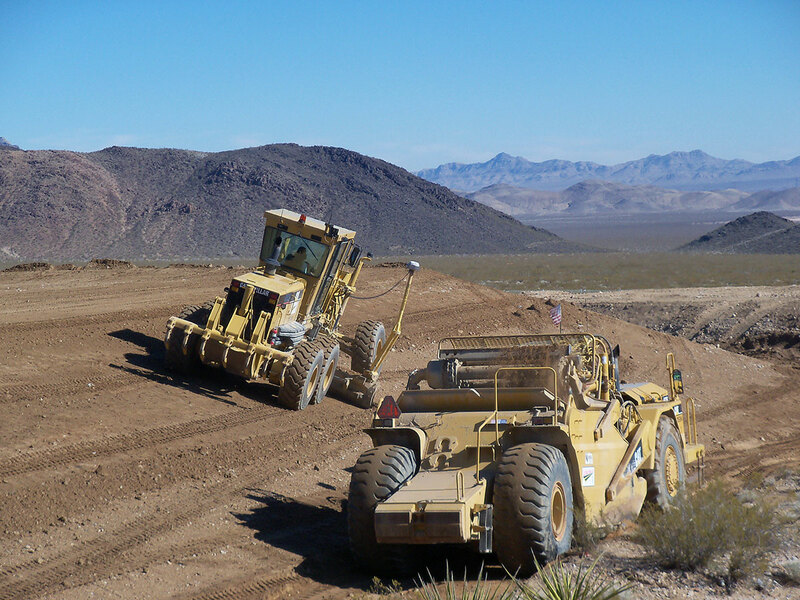 Consistently ranked in the Top 60 of America’s Largest Equipment Owners, Las Vegas Paving has the ability to move material with all types of bulldozers, motor graders, loaders, scrapers, compactors, excavators and off road haul trucks. 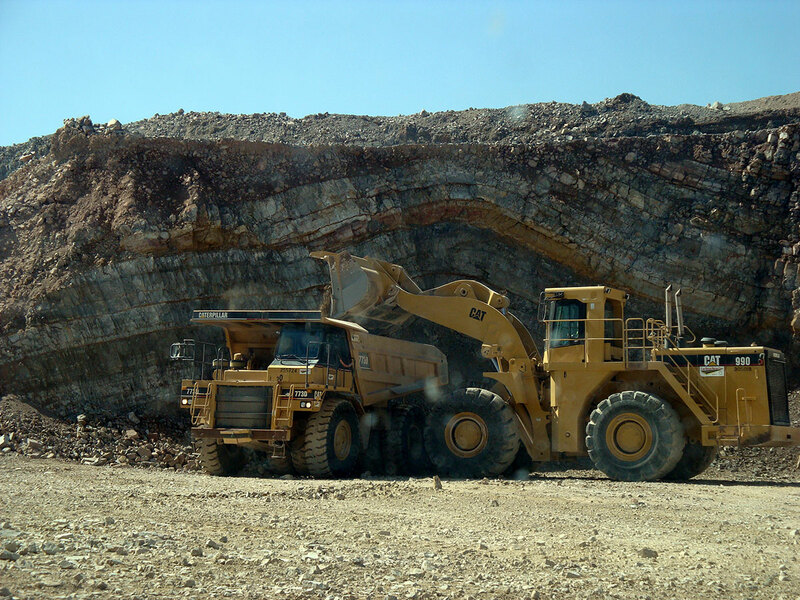 Whether the job requires mass excavation and grading or hard rock blasting and mining, no job is too big or small to complete. 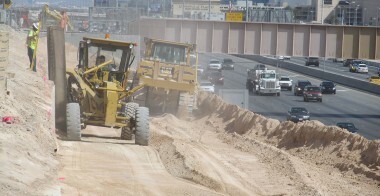 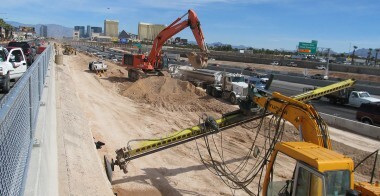 Maintaining an innovative approach from job start-up to completion, Las Vegas Paving utilizes three-dimensional take-off and modeling as well as GPS controlled excavation and grading spreads. 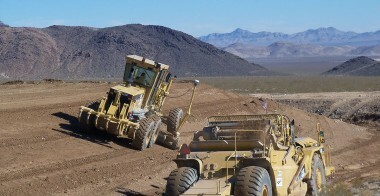 In-house professional and licensed surveyors aide in the accuracy of modeling the projects. 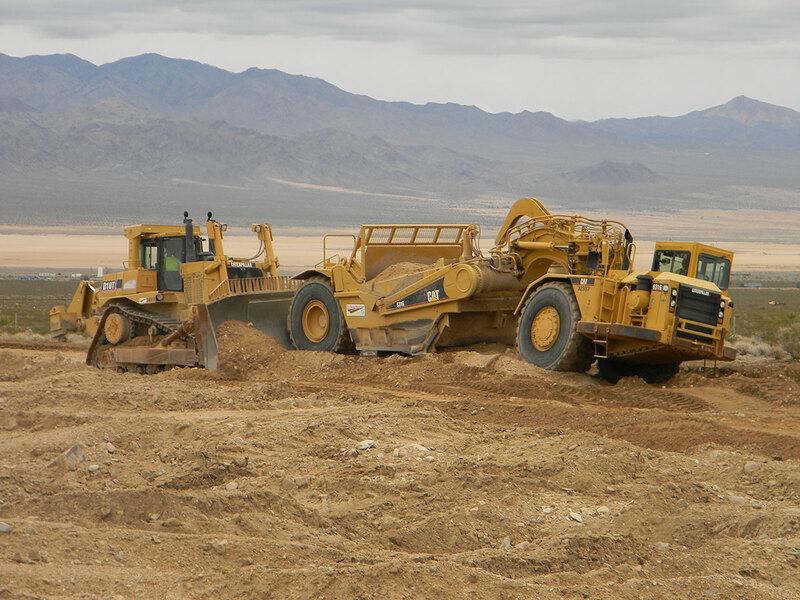 Our fully AASHTO Certified lab and technicians are able to insure the final quality of excavation and grading projects. 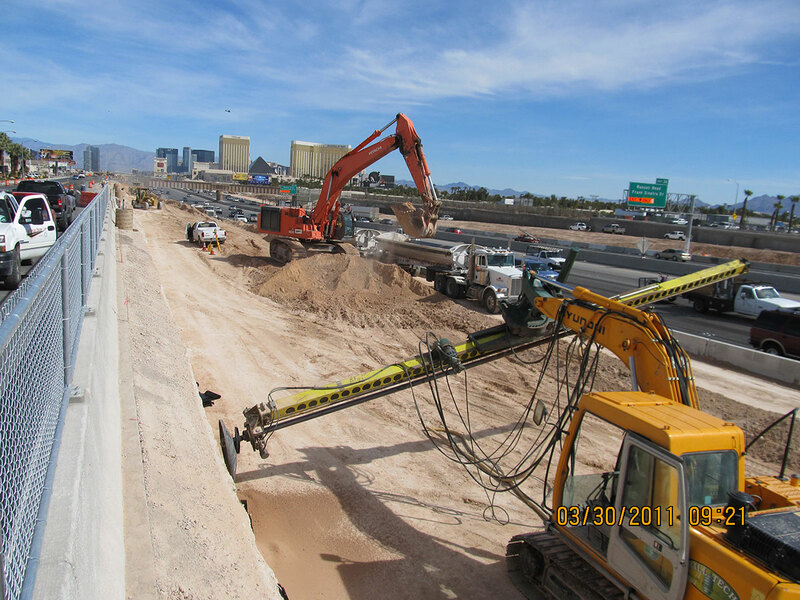 Operating and maintaining an impressive fleet of equipment, Las Vegas Paving remains competitive in the public and private sector. 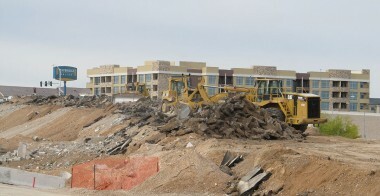 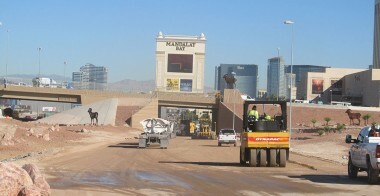 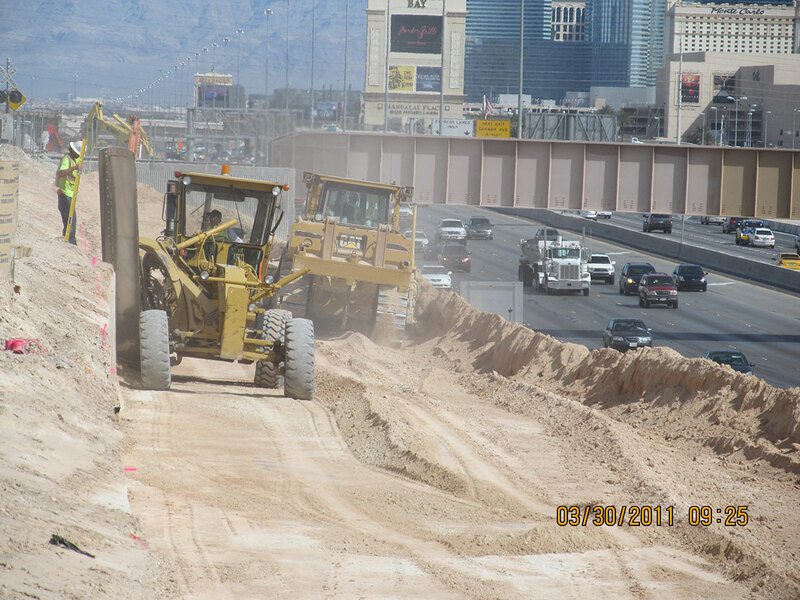 Some of our notable completed grading projects include: NDOT Interstate 15 Design Build (north and south), Clark County 215 Beltway numerous projects, US 95 expansion, CALTRANS Wheaton to Yates Well, housing subdivisions for local and national home builders and the cities of Las Vegas, Henderson, North Las Vegas and Boulder City. 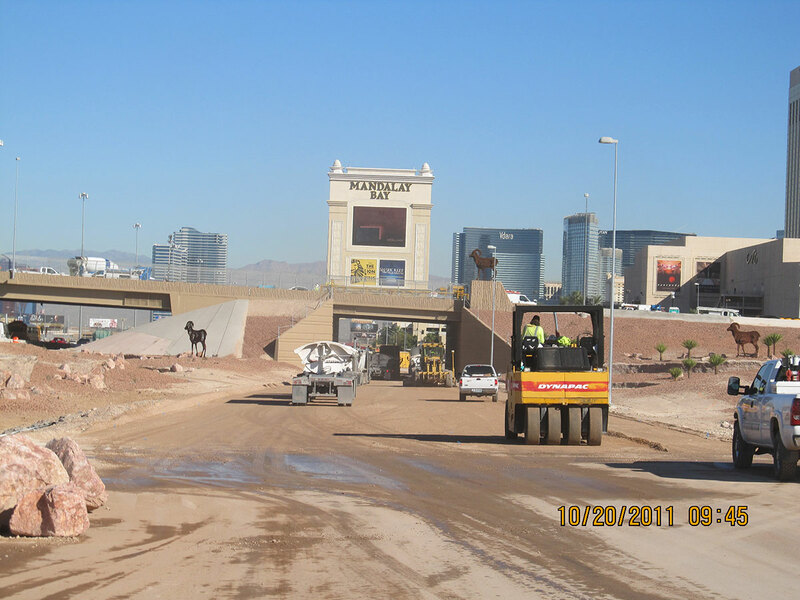 2014 © Las Vegas Paving. 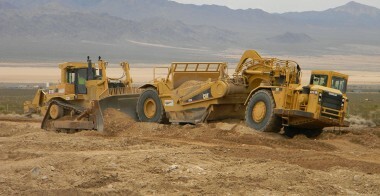 Website by Jennifer Web Design Las Vegas.